From our blog post before you are probably familiar with Club Real. 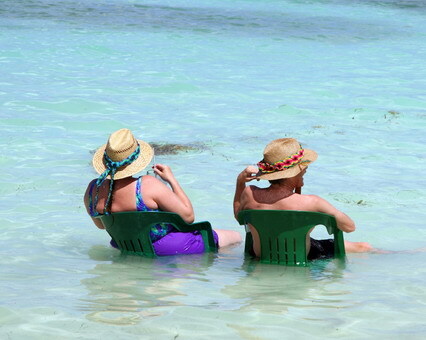 to start looking for residential Real Estate in Playa del Carmen. towards the amazing kids playground, the many public pools and tennis courts. find your future real estate investment in Playa del Carmen, Mexico. Of course you can choose to start looking in Playacar fase 1 and be closer to the ocean, but if your budget is more likely between 350-500,000 US, you are in the right location here in Club Real, the most exclusive neighborhood in the golf course community of Playacar. If you want to see one of the best deals available, click on the picture and find a real Caribbean dream in this area for a price of 350,000 US, owners willing to listen to serious offers. The house has 3 bedrooms, almost 5000 sqft lot size, is very private, very nice landscaping, a very nice kitchen, all the windows and closets are made of mahagoni wood and is perfectly well maintained and you can see that the current owners take pride in owning this home and the price is very competitive to other homes in this complex. You can find more info about Playa del Carmen Real Estate on our website and please don’t forget to visit us on Facebook, Point2 and Youtube. Playacar is a gated Golf Course Community and probably the part of Playa del Carmen, where you find the best residential real estate for sale. You have world class resorts receiving visitors here all year long, golf players using the amazing playacar course, the best sandy white beaches in the world waiting for you and lots of amazing homes and condos for sale and rent. One of the best deals in these weeks is located in a complex of townhouse just in front of the Sandoz Hotel and these villas have 2-3 bedrooms, very large terrace, assigned parking, a great pool and common area with tropical vegetation and a very nice playground for the kids. The one particular villa we like to present you is a completely furnished 3 bedroom house, with a open living room/kitchen area on the ground floor, a large terrace overlooking the pool, 3 spacious bedrooms upstairs and is ready for you to move in. For more info just click on the pictures. You can find more info about Condos and Homes for Sale in Playa del Carmen on our website and please visit us on facebook, Youtube and Point 2 as well. can rent their condo in the times when they do not use it themselves. many more months still considered high season. The most important key factors for a successful rental project are location as you want to be close to the beach and 5th Avenue, hip design, a great rental agent and some very helpful websites one can use. You can find lots of vacation rental properties in this beautiful area on Flipkey, Airbnb, Homeaway and VRBO. We just were able to list this great condos for sale in best location in Playa del Carmen. The owner reduced it to 150,000 US and it will be next to the Hyatt Hotel, which is under construction as we speak and expected to be finished in record time. For more info about this amazing real estate deal, just click on the picture and as always you can find more real estate opportunities on our Homes for Sale Playa del Carmen website and you are more than welcome to visit us on Facebook, Point 2 and Youtube. might just be the opportunity you have been waiting for. and perfect for families with kids. If you click on the picture above you will find this amazing 3 bedroom penthouse, which the owners reduced now to 170,000 US and it comes completely equipped and ready to move in right away. You can enjoy your private rooftop with jacuzzi and one of the best build constructions in town. on top of all this you will have a membership in one of the best beach clubs in the area for free and you can enjoy many discounts in all inclusive resorts and the famous golf club in Playacar. For more info about Condos and Villas for sale please visit our main site Homes for Sale Playa del Carmen and find us on Facebook, Youtube and Point 2. Many of my clients asked me about Sabbia Condos and there are many advantages of buying into this building. they offer a great common area with huge pools and yacuzzis, a games room, reception, a storage area, underground parking and one of the highest potential for vacation rentals in the Riviera Maya, Mexico. But usually I felt, the prices were high in comparison to direct neighbors. Now this changed, we have a resale here, which is listed for less money than any other real estate in this complex. Lower priced than direct units for sale by the developer and very competitive with neighbors in this area of Playa del Carmen. The condo is very spacious and you can try to buy it for the listing price including the furniture, so you would be able to make rental income right away. 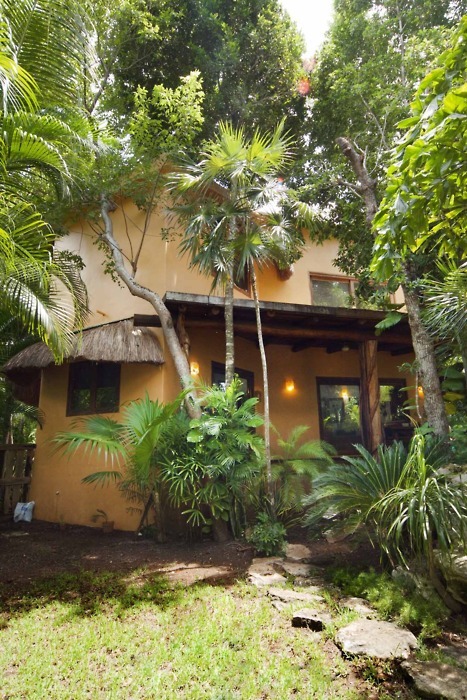 For more info about the property, just click on the picture and find more real estate opportunities on our Homes for Sale Playa del Carmen website and don’t forget to visit us on Facebook, Youtube and Point 2.